New to this whole "grill" thing? 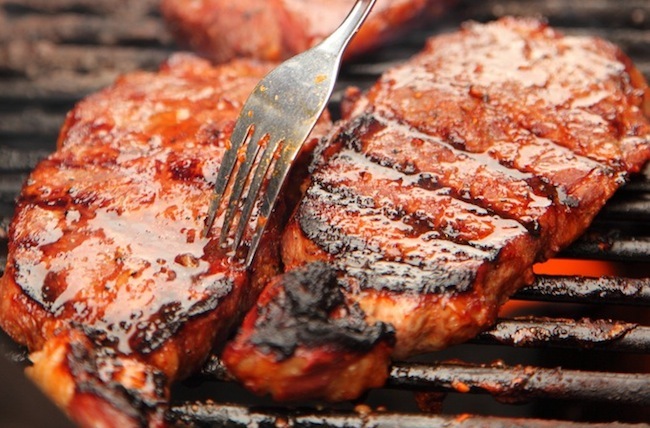 Check out Chow's awesome recipe-free tutorial for the best Basic Steak. Like the best street-fare, quick, easy, delicious. What's better than cast iron cooking? Taking your cast iron outside to the grill! This recipe shows you how. Marinated in tequila, orange and chipotle peppers, this steak is tender and spicy, with hints of sweetness and tangy notes. Ay yi yi! Sweet and spicy (you can crank up the heat to burn-your-tongue-off-hot if you'd like), this recipe is pretty easy and sure to be a hit at your next cookout!